Prurigo Nodularis a chronic inflammatory skin condition which is characterized by the appearance of intensely itchy (pruritic) nodules on certain parts of the body. The nodules generally appear on the extensor surfaces of the legs or arms; and, occasionally, the trunk. Prurigo Nodularis is also known by some other names, including Nodular Prurigo, Picker Nodules, Hyde's disease, and Nodular lichen simplex chronicus. Individuals suffering from Prurigo Nodularis usually present with multiple excoriated lesions which are typically caused by scratching. This skin condition basically induces a 'scratch/itch' cycle, in which constant scratching of the affected body parts results in the development of discrete, nodular, excoriated, hyperpigmented/purpuric lumps with scaly or crusted surfaces. People with Prurigo Nodularis skin condition have a reduced intraepidermal nerve fibre density. In addition, the patients also have increased dermal levels of neuropeptides, calcitonin gene-related peptide and nerve growth factor, as well as an excess of eosinophils and mast cells. It is not clearly known as to whether Prurigo Nodularis represents a causative aetiology or develops due to chronic scratching and skin irritation. The condition is seemingly quite common, especially among people who have some of the associated/precipitating conditions. Nearly 80% of Prurigo Nodularis patients have a personal or family history of atopic dermatitis, hay fever, or asthma. Prurigo Nodularis usually affects middle-aged or older people, mostly women. However, the condition may also occur in children. Although Prurigo Nodularis is a benign condition, it can lead to severe morbidity in untreated cases and even in some patients who have been treated for the condition. The appearance of itchy nodules, and the extent of body surface area which can be affected by the condition, is so vast that it may affect the day-to-day activities for some patients. In Prurigo Nodularis, the chronic mechanical trauma to the skin leads to the thickening of the skin, in proportion to the trauma. Plaques or nodular lichenification and hyperkeratosis result from the repetitive scratching, rubbing or touching (either self-induced or induced by a foreign body) of the body parts affected by the condition. This cyclic trauma to the affected skin mostly causes pigmentary changes. There is, as of now, no specific explanation for the intense pruritus which the patients of Prurigo Nodularis feel at the affected parts. Nonetheless, since the patients suffering from this condition cannot control the urge to scratch or rub the affected parts repetitively, scratching and itching are the main symptoms of the condition. Anxiety about the nature of the lesions is also a relatively common symptom of the condition. 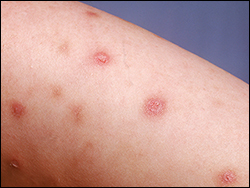 The itchy nodules (lumps) which appear on certain parts of the body due to Prurigo Nodularis do not resolve spontaneously. The nodules are generally of a constant size, by their number tends to show an increase over time. The nodules are usually firm and symmetrically distributed. Since the exact reason for the Prurigo Nodularis skin condition and the appearance of the itchy nodules is not known, it is extremely difficult to treat the condition effectively. Mostly a trial of several treatments is required for individual patients of Prurigo Nodularis, so that a combination therapy for the condition may be developed to improve outcome in individual cases. The different treatments which may be tried on the patients often include the use of antihistamine or anaesthetic creams, pills, injections, and anti-depressant medications and other therapies for managing the condition. 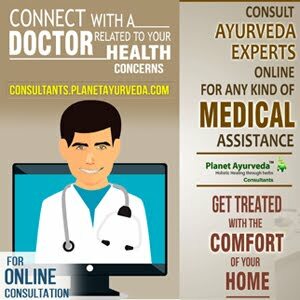 Planet Ayurveda herbal manufacturing company offers some excellent herbal formulations -- in the form of a 'Skin Care Pack' -- which can be very beneficial for the management of Prurigo Nodularis. These formulations are prepared from 100% pure and natural herbs, and are absolutely safe to use because they do not contain any additives, chemicals or preservatives. These capsules are prepared from the standardized extract of 'Aloe vera' herb (Aloe barbedensis), which has proven properties for managing different types of skin ailments. These capsules are abundant in Vitamins C and E, and are a wonderful formulation for overall skin health. Aloe Vitals capsules have remarkable capabilities for treating eczema, keeping the skin hydrated, providing proper nourishment to the skin, alleviating redness and dry skin patches, stimulating the development of skin cells, and maintaining the natural glow of the skin. This product -- in the form of capsules -- is prepared from some very potent herbs which can treat several conditions related to the skin, hair and nails. The herbs used for preparing these capsules include: Bhumi amla (Phyllanthus niruri), Ashwagandha (Withania somnifera), Bhringraj (Eclipta alba), Brahmi (Bacopa monnieri), Yashtimadhu (Glycerrhaza glabra), and Amalaki (Emblica officinalis). The use of this herbal product gives positive results in several skin conditions, provides the required nutrition and nourishment to the skin, and improves the healthy growth of hair and nails. For preparing these capsules, pure and standardized extract of the ‘Neem’ herb (Azadirachta indica) are used. The herb is widely known for its amazing medicinal value, and is considered a time-tested remedy for skin problems. Neem has anti-inflammatory, antifungal, and anti-bacterial properties. Neem capsules give proper nourishment to the skin, remove excess of oil from the skin, purify the blood, and eliminate toxins from the body. Dosage: 2 capsules with plain water, twice daily, after meals. This wonderful herbal oil is prepared from a number of useful herbs which are very beneficial for the overall health of the skin. The herbs used for preparing this oil include: Rakta Chandan (Pterocarpus santalinus), Manjistha (Rubia cordifolia), Yashtimadhu (Glycyrrhiza glabra), Daruhaldi (Berberis aristata), Ushira (Vetiveria ziznioides), Padmaka (Prunus puddum), Vat (Ficus benghalensis), Pipal (Ficus religiosa), Nagkesar (Mesua ferrea), and Til (Sesamum indicum). Kumkumadi oil possesses astringent, antiseptic, disinfectant, and deodorant properties. The use of this oil can keep the skin healthy; remove pimples, scars, blemishes, and wrinkles; treat uneven skin tone and pigmentation spots; and prevent and fight skin infections. Usage: 3-5ml of the oil should be massaged over the affected area of the skin. 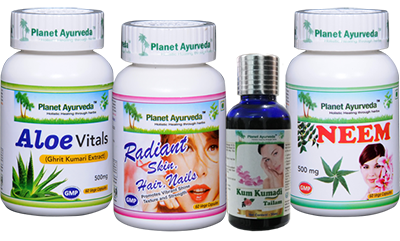 Planet Ayurveda's herbal products can be safely used for the management of Prurigo Nodularis because they can be very effective in managing the discomforting skin condition without any side effects.